The weather cleared after two days and I made it up (and down) the volcano on Stromboli. This is a most surreal island with these people living in the shadow, very literally the shadow, of a super-active volcano. Stromboli...those are not clouds, that's steam and other gasses coming out of the volcano. I’m here touring Italy’s active volcanoes on assignment so no more details on them for now. 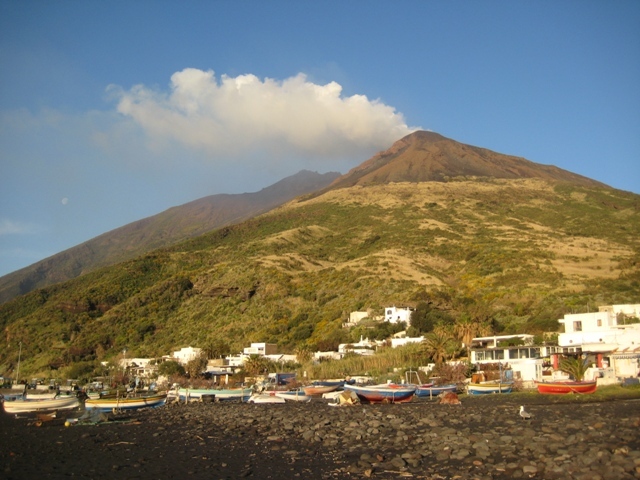 That is except to say that after Stromboli I stopped off in Vulcano, yes, an island actually called “Volcano” where I hiked another volcano that though smaller is equally interesting. 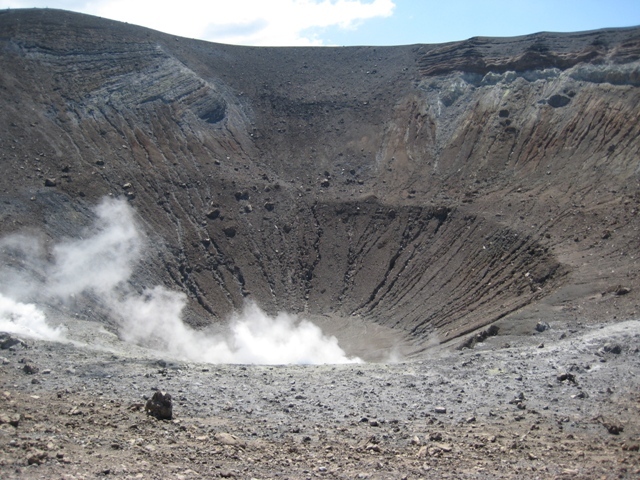 Staring down into Vulcano's volcano. After Vulcano I got another boat to Sicily where today if everything works out I’ll be heading up Etna, the mother of all Italian (and European) volcanoes.